Chance to win tickets to Dancing with the Stars! Get your dancing shoes at the ready because we have two pairs of tickets to give away to Dancing with the Stars on Sunday, February 24. THIS COMPETITION IS NOW CLOSED. The winners are Veronica Hennessy and Lorraine Flynn. We have teamed up with Müller Corner, proud partner of Dancing with the Stars on RTÉ, to offer readers the chance to win two pairs of VIP tickets to the show. The sparking new series of Dancing with the Stars Ireland is filmed at Ardmore Film Factory, Bray Co. Wicklow and goes out live every Sunday on RTÉ One at 6.30pm. 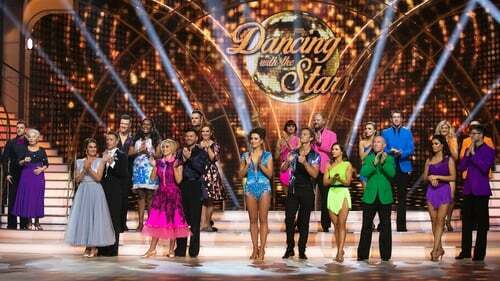 Where is Dancing with the Stars on RTÉ filmed? Send the answer along with your name and phone number to entertainmentonline@rte.ie with 'Dancing with the Stars Competition' in the subject line. You must be over the age of 18 to enter. One entry per person. Standard RTÉ competition rules apply, a copy of which is viewable here. Closing date for entries is Wednesday, February 20 at 1pm. The winner will be chosen at random from all valid entries and notified by email. The winner will need to be at Ardmore Film Factory from 4.15pm - 8.30pm on Sunday, February 24. Editor's decision is final. All audience members must be 16 + years and ROI residents. There is no cash alternative to the prize.